It is time to giveaway one of winter’s worst fashion favorites of the season… That’s right, yours truly said it! Interesting enough, it’s actually hard-to-find the authentic 80’s sweaters. That can actually be a bit pricey nowadays. That’s right… Once thought of as is extremely tacky… Now, one of the biggest holidays party craze! From people having do-it-yourself parties, stores completely selling out the minute the ugly things enter the store, to celebrities and fashion designers creating lines of them. Even having me write about them… As you know I am into “BEAUTY” LOL! “Congrats,” Ugly Christmas Sweaters you have definitely made a huge comeback! 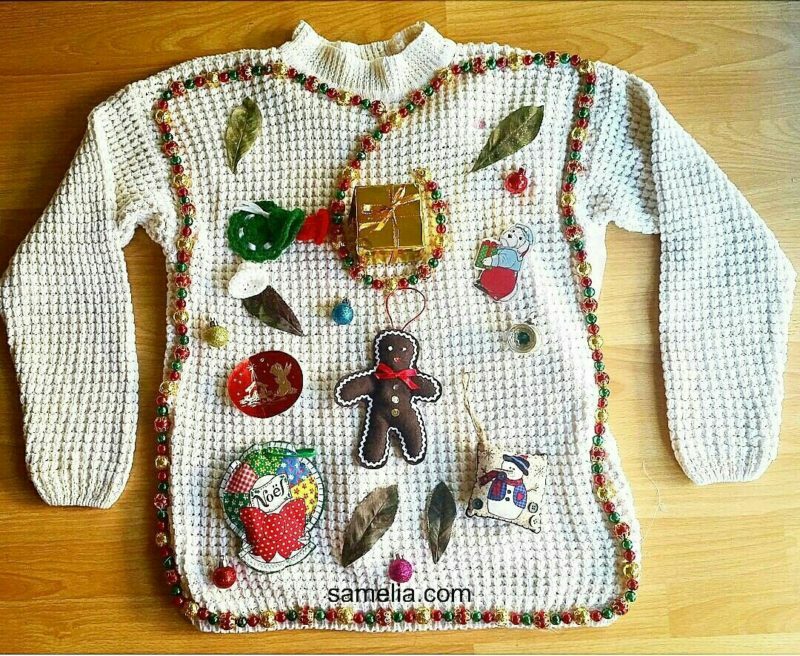 An “SAMELIA’s WORLD” has an Ugly Christmas Sweater for one of my world followers! Fill in your information in the section that says “Join My World Below”(on the top right sidebar). This beautiful, wait “UGLY” sweater may be yours on December 12, when yours truly announces the winner at 3pm! Next Post Ugly Sweater Giveaway Winner! Because everyone NEEDS an ugly sweater for the holidays 🙂 Have a fabulous holiday season!